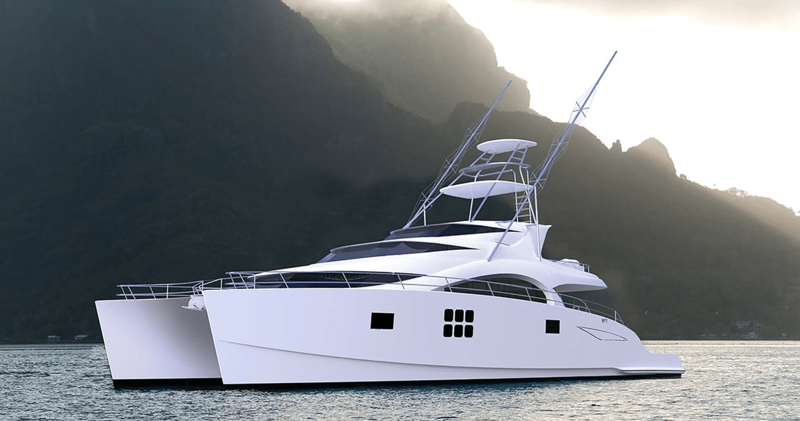 75 Sunreef Power Sportfish - The best in luxury yachts. 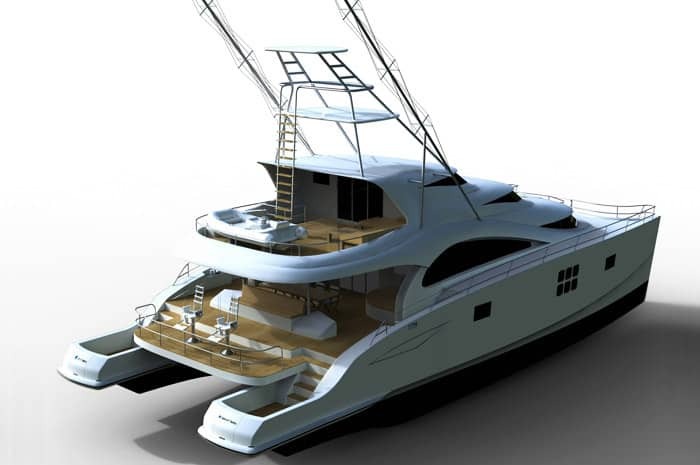 A special version of one of the most popular models from the Sunreef Yachts range – the 70 Sunreef Power. 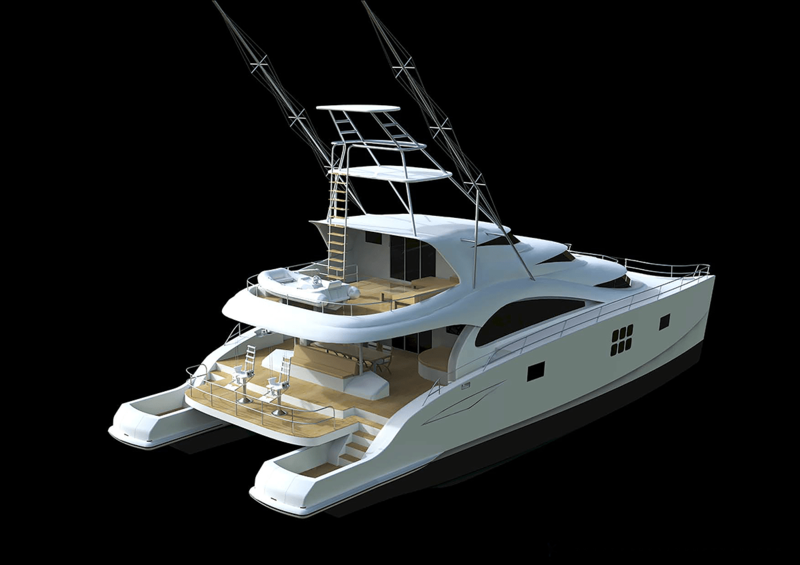 The 75 Sunreef Power Sportfish is the biggest luxury catamaran-yacht available in the fishing version in the world. 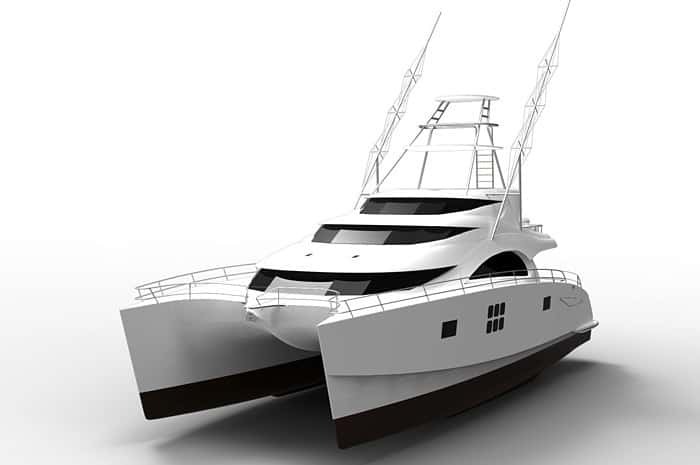 She’s designed for deep sea fishing enthusiasts that appreciate such catamaran assets as stability, low draft, long range coupled with low fuel consumption and extended storage, perfect for shallow or deep fishing in warm or cold climates. 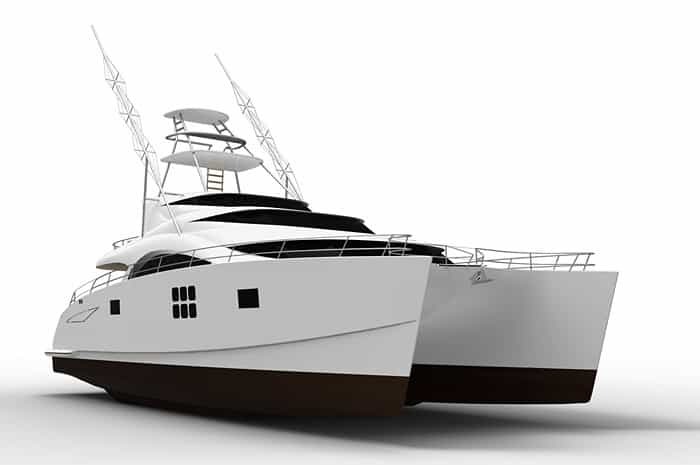 The 75 Sunreef Power Sportfish boasts cockpit fishing features which include stern tuna tubes, massive fish box with high velocity ice feed, a bait preparation station, large freezers, rod storage and much more. Furthermore, there is a special purpose-built aft platform on to the cockpit and includes two comfortable fighting chairs with aluminium plate reinforcement. 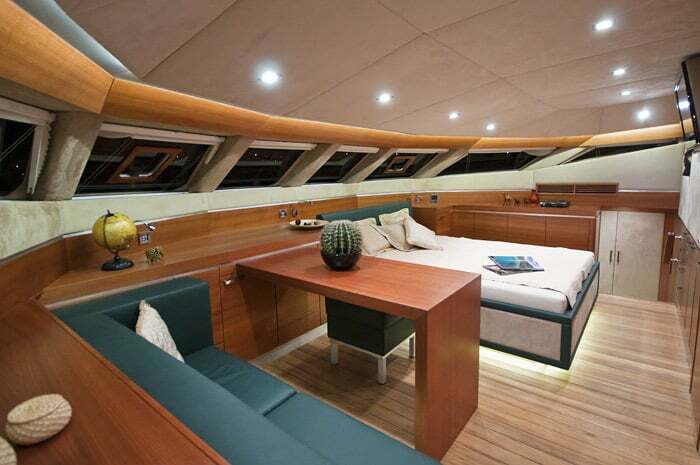 Two swimming platforms, accessible from the aft platform, allow direct access to the sea. 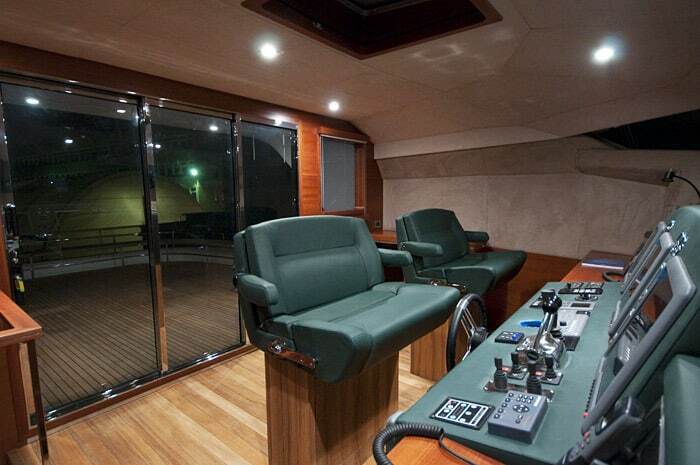 The spacious 40 sqm flybridge features the main helm station with complete navigation and communication equipment. This space is has permanent covers with a composite rigid top which allows for navigation in cold, northern fishing zones. 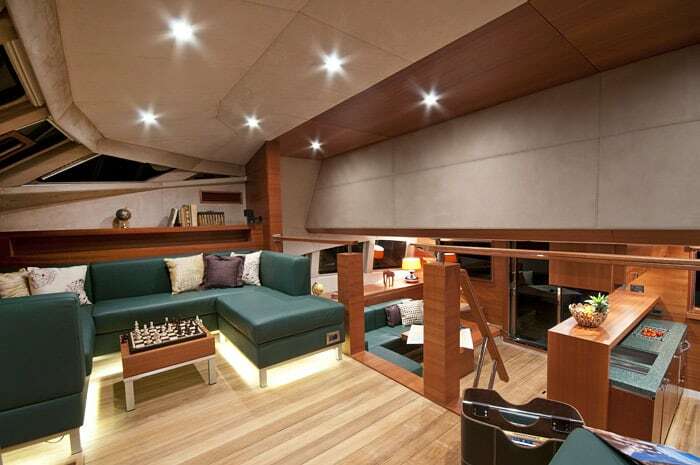 A standard amenity is the anodised aluminium ladder which leads to the tower with outriggers from the flybridge – but the outdoors of the flybridge can be fully customised and comprise sunbathing lounge, dining area, open bar, barbecue and water toys storage. 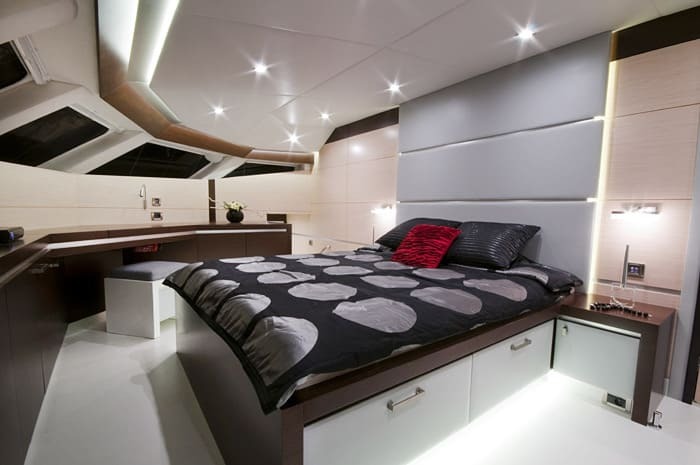 Sunreef offers fully interiors customisation. 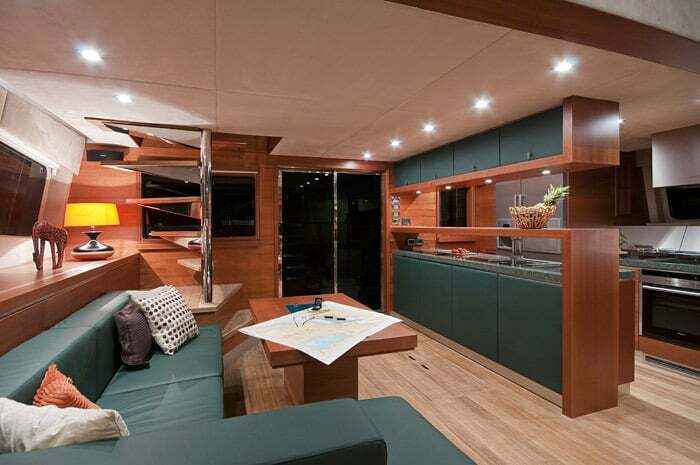 In adition, your 75 Sunreef Power Sportfish can have different layouts: in charter, owner or a semi-owner version.